Chaim Topol, also spelled Haym Topol, mononymously known as Topol, is an Israeli theatrical, film, and television actor, singer, comedian, voice artist, film producer, author, and illustrator. He is best known for his portrayal of Tevye the Dairyman, the lead role in the musical Fiddler on the Roof, on both stage and screen, having performed this role more than 3,500 times in shows and revivals from the late 1960s through 2009. Philip Loeb, was an American stage, film, and television actor. He was blacklisted under McCarthyism and committed suicide in response. 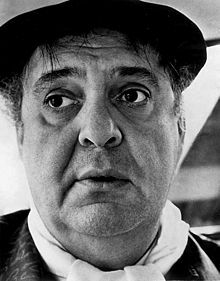 Morris Carnovsky was an American stage and film actor. 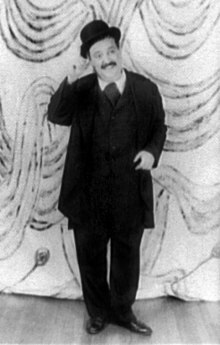 He was one of the founders of the Group Theatre (1931-1940) in New York City and had a thriving acting career both on Broadway and in films until, in the early 1950s, professional colleagues told the House Un-American Activities Committee that Carnovsky had been a Communist Party member. He was blacklisted and worked less frequently for a few years, but then re-established his acting career, taking on many Shakespearean roles at the Stratford Shakespeare Festival and performing the title roles in college campus productions of King Lear and The Merchant of Venice. Carnovsky's nephew is veteran character actor and longtime "Pathmark Guy" James Karen. Jim Brochu is an American actor, writer, director, and playwright. Born in Brooklyn, he studied at Carnegie-Mellon University and received his B.A. from St. Francis College. 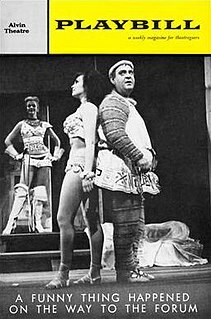 His stage debut was in a production of William Shakespeare's Taming of the Shrew. A friend of Lucille Ball, he is known as the author of the unauthorized biography Lucy in the Afternoon, and in this capacity, appeared on an episode of MythBusters.